Life Care Planning Law Group is a team of attorneys who focus on the practice of family, elder, and probate law as well as estate planning. We are skilled negotiators who have extensive trial experience. Clients can obtain representation at a level comparable to that of large Boston law firms, in a convenient suburban setting. John Welch has committed his professional life to helping others. After a brief career as a teacher he earned his law degree from the University of Maine School of Law graduating with Dean’s list distinction in 1990. He began his career at Neighborhood Legal Services where he worked alongside preeminent Elder Law practitioner and scholar John J. Ford with whom he founded and implement the Elder Battered Women’s Project through the Greater Lynn Senior Services. His dedication, commitment, and caring for his clients earned him community recognition as he is a two-time recipient of the Help for Abused Women and Their Children Community Award and the American Institute of Family Law Attorneys client satisfaction distinction. He a member of the National Academy Elder Law Academy and is an active member of the Massachusetts Chapter recently lobbying the Massachusetts Legislation to protect pooled trusts for individuals over 65, serving on committees to promote the implementation of Dementia Friendly Café’s. He is a professional member of the Aging Life Care Association, Essex County Bar Association, Boston Bar Association and the Massachusetts Bar Association. Although Sharon recently retired from full time practice, she will continue to consult for Life Care Planning Law Group. Sharon D. Meyers has extensive experience in working with difficult domestic cases, either because there are complicated custodial issues or significant assets at issue. She began her career as an assistant District Attorney in Suffolk County (Boston) and Essex County (Salem) before moving to the private sector. Her first decade of practice centered around representing corporations and small businesses in employment disputes, complex defense litigation and individuals accused of white collar crime. After starting her own firm in 1992, Sharon’s practice migrated to family law. Using her breadth of experiences. Sharon assists her clients in creating constructive meaningful solutions to their domestic situations. As a litigator, Sharon seeks creative solutions and is a strong, practical advocate for her clients. While attending the University of Maryland, Sharon obtained her undergraduate degree in Special Education. She graduated with High Honors, was admitted to Mortar Board, the Senior Women’s Honor Society, Kappa Delta Pi, the education honor society, and was a member of Delta Gamma Sorority, and was chosen Outstanding Delta Gamman. Sharon obtained her law degree from Vermont Law School with several honors including, American Jurisprudence Award (Bankruptcy), National Appellate Advocacy Competition, First Circuit Regional Winner, America Bar Association, Law Student Division, Honor: American Jurisprudence Award (Bankruptcy) 1978, Phi Delta Phi, Graduate of the Year, Phi Delta Phi Province X, Graduate of the Year: National Appellate Advocacy Competition, First Circuit Regional Winner, the Gold key Award in 1979 and the Silver Key Award in 1978. Sharon is an active member of both the Massachusetts and Vermont bars. Andrew G. Christensen is a highly dedicated Elder Law, Estate Planning and Real Estate Attorney. He and Attorney Welch are the co-owners of ParentCareUSA a Medicaid Application and Life Care Planning Company serving all of Massachusetts. Attorney Barnes is a partner at Barnes and Leighton and is an outstanding Family Law Attorney with a stellar reputation of producing results through knowledge, caring and collaboration. We are proud to have her assistance at Life Care Planning Law Group. You can learn more about Shannon by viewing the Barnes and Leighton Website. Attorney Leighton is a partner at Barnes and Leighton and is a highly committed and compassionate partition and scholar. She authored and lobbied the Alimony Reform Act in 2011 which became law in 2012 and has written about The Virtue of Civility in domestic litigation. Life Care Planning Law Group is proud to have Attorney Leighton’s assistance. To learn more about Kelly visit the Barnes and Leighton website. Judge Stevens practices exclusively in the area of Arbitration and Mediation. He served as a Justice of the Essex Family and Probate Court for 10 years, 5 of those as First Justice. Judge Stevens is also and author, passionately chronicling a tragic episode on U.S. Marine Corp history on April 8, 1956 and its aftermath. Life Care Planning Law Group is extremely proud to have Judge Steven’s brilliant legal counsel at its disposal. Andrea is an Elder Care Coordinator for Life Care Planning Law Group. She has over 15 years of experience in serving Elders. In addition, she is an expert Medicaid Application Specialist and has spoken on the subject of the Medicaid applications process at conferences the Center of Advanced Legal Studies at Suffolk University. 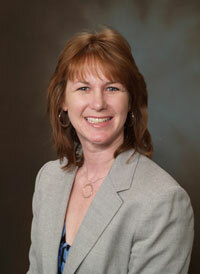 She is knowledgeable in the field of healthy aging and nursing has and assisted living placement. She is a tremendous asset to Life Care Planning Law Group and we are proud to have her on board. Ms. Keaton is a long team member of our staff due to her level of commitment and gentle demeanor. She will greet you warmly if you visit our office and take care that your needs and concerns are communicated to the appropriate member of our team.